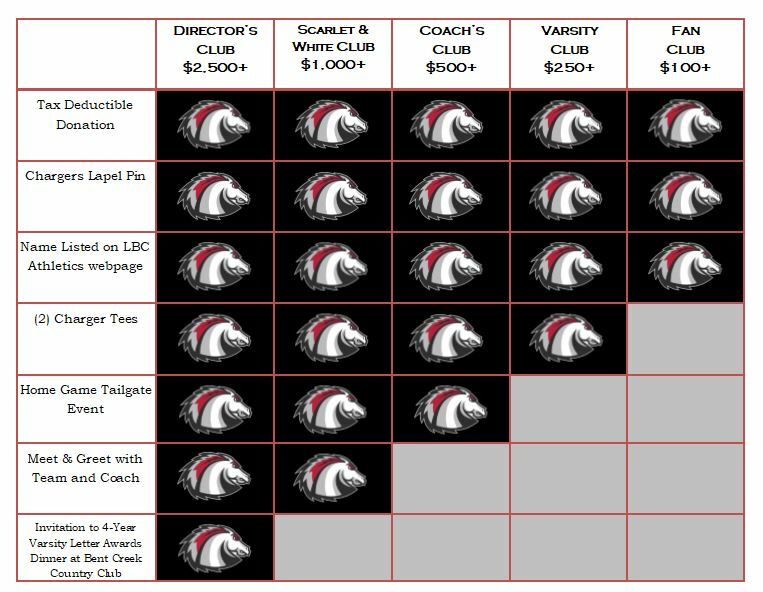 Join the Chargers Club below! Not interested in becoming a member? Make a donation by entering the amount in the empty box. Note: Your gift is tax-deductible to the extent permitted by law. Lancaster Bible College is an IRS Section 501(c)(3) charitable organization, and your contribution is tax-deductible to the fullest extent as allowable by law. Please retain this letter as your receipt for tax purposes. Please print or save this message for your personal records.